In honor of my brother's 40th birthday last summer, two of his friends, my husband, my brother and I rented a house for a week in Lisbon, Portugal! I can't say enough great things about this beautiful city, and I'm not generally a city explorer. I usually like exploring more of the 'off the beaten path' type of towns. 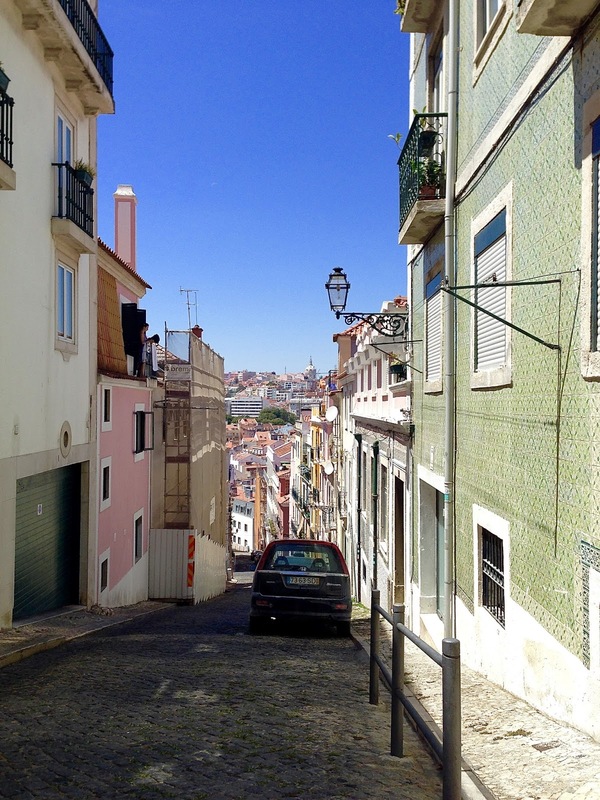 But because Lisbon still feels like a bit of a hidden gem, I absolutely loved it. Below are my recommendations for a week well spent there! 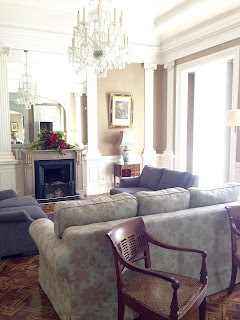 We rented a former palace (not kidding) through Airbnb in the Principe Real neighborhood. Principe Real is a bit quieter and more luxurious than the surrounding neighborhoods. 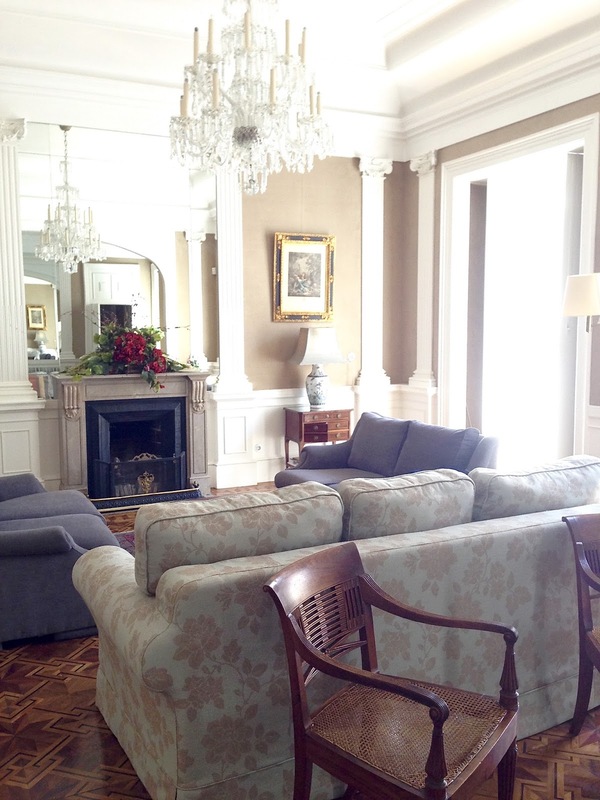 It has gorgeous gardens, beautiful homes (hello, palaces you can rent), and views for days. 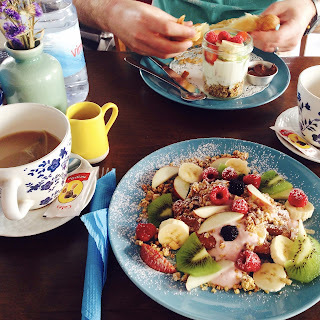 It also has the BEST ice cream and breakfast spot in the world (more on this in a second). 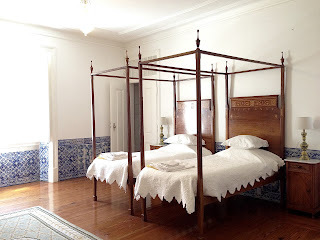 I loved our house and I loved the neighborhood, but next time I go to Lisbon I think I will try staying in or near the Alfama district. It is the oldest part of town and feels most historical and culturally different. If you're having trouble deciding where to stay, don't worry- taxis and trolleys make it easy to get around the city. So just choose a home base and get ready to explore! The Layout: As soon as we arrived, we took a taxi to one end of the trolley line and rode it all the way to the other end of the city to get a feel for the layout of the area. This was really helpful! We treated it like our own Hop On-Hop Off bus. We were warned to beware of pickpockets on the trolley, but I never saw anything fishy go down. As with any city (even my own!) I just stayed aware of my surroundings and my belongings throughout the week. 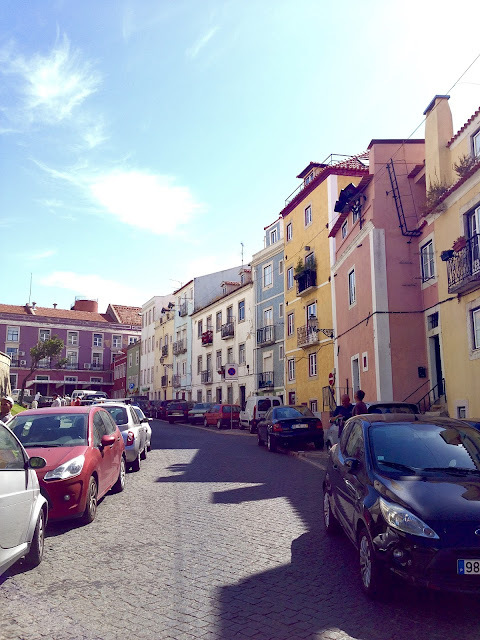 The Neighborhoods: Explore (read: meander slowly through) the Alfama and Barrio Alto neighborhoods (and all of the others!). My guide book was helpful because it listed self-guided walking tours of different areas that we followed throughout the week. I ordered Snapshot Lisbon by Rick Steves from Amazon. I love meandering, and Lisbon is great for that. Beware that the streets are windy and switch names every five seconds. I got lost a thousand times! The Views: Use a city map to find one (or more!) of the numerous lookout points around the city. Stop for lunch or coffee and take in the amazing views of the city and the Rio Tajo. The Architecture: Commerce Square is beautiful and ON the water. It reminded me a bit of a piazza in Italy and it is a must-see! 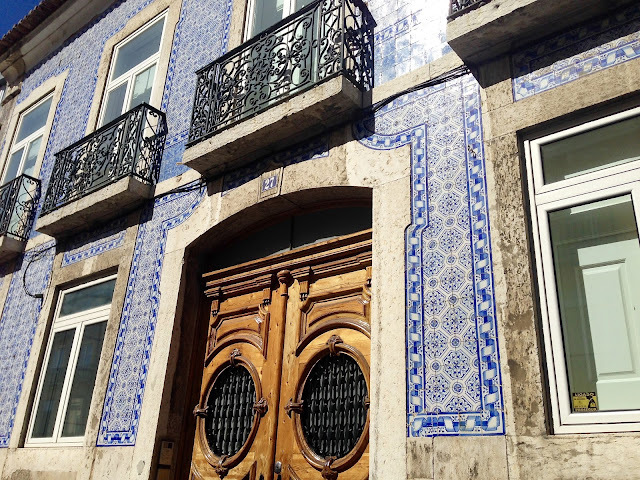 Also, be sure and take note of all of the beautiful, intricate tiles that cover Lisbon. You can't miss them! 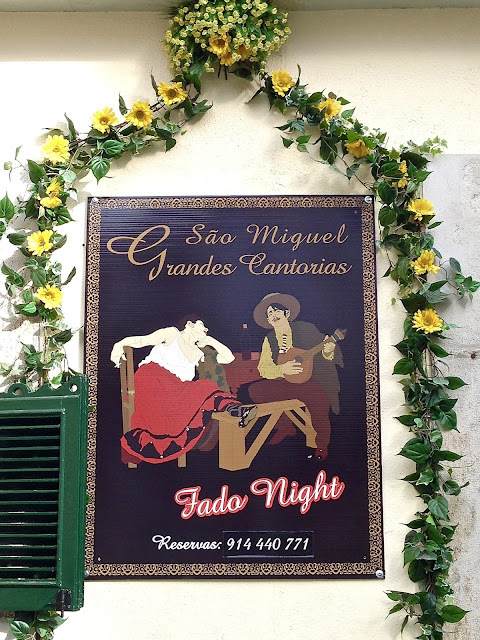 The Music: Spend an evening listening to Fado, a genre of music that originated in Portugal hundreds of years ago. The Portuguese translation of Fado is destiny or fate, and Fado has a mournful, soulful sound to it. You will see signs advertising Fado all over the city. The Shopping: There is an enormous market called Feira da Ladra that takes place every Tuesday and Saturday. Many of the sellers are gypsies, and they sell everything from old CDs to beautiful pottery. 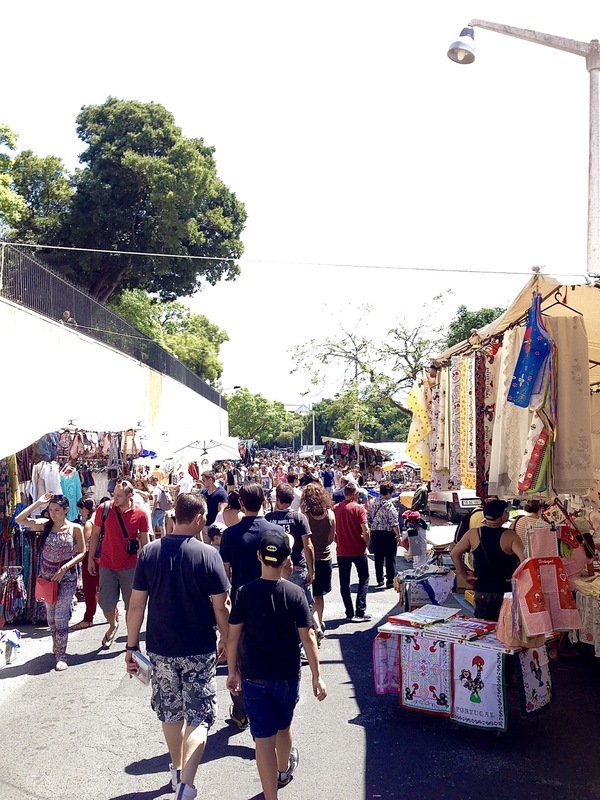 If you're looking for local souvenirs, this is the place to go! The Food: The food is awesome in Lisbon, so just resign yourself to the fact that you may put on a few LBs while you're there. Fresh seafood, namely sardines, are a staple. If you get a chance, you MUST go to a restaurant called Tease for breakfast. 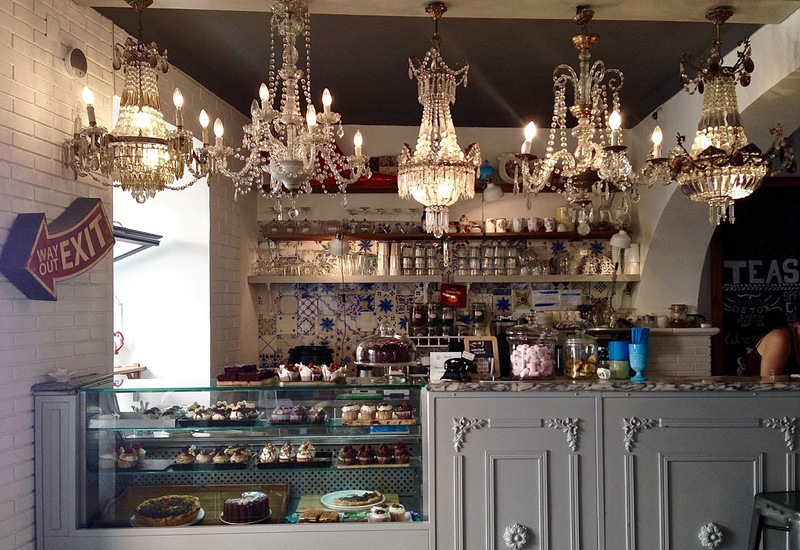 I happened upon this little restaurant my second day in Lisbon (our house was a block away) and it became my neighborhood breakfast place for the next six days straight. 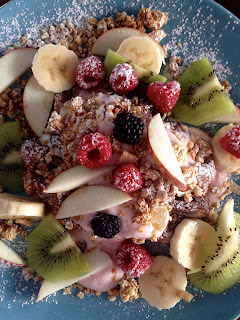 It is so cute and so yummy (think waffles topped with yogurt, granola and fresh fruit, whatttt?!) The people who work there are also so, so nice. The other food stop you must make is to Nannarella for ice cream. We came across this heaven-on-earth ice cream shop our first day there and fell in loveeeee. We literally went there every single day, sometimes twice (I see you judging!). Listen to me: my family can put away some ice cream. And I kid you not, Nannarella has the best cookies and cream I have ever had. There. I said it. Even if you don't stay in the Principe Real neighborhood, these cones of pure love and deliciousness are worth the taxi ride there. The shop is two blocks from Tease, so just spend half a day in that area gaining weight. You're on vacay. 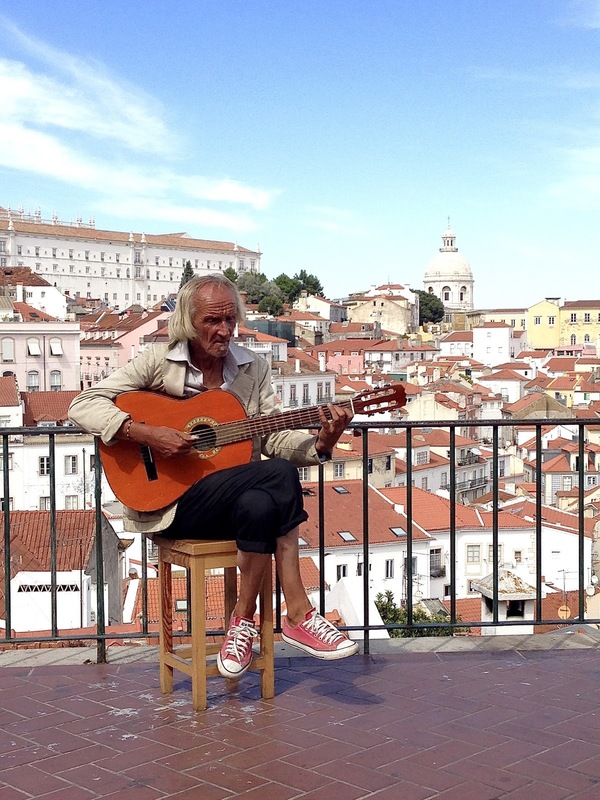 Sinatra: Sintra is a picturesque Portuguese town 25 km west of Lisbon. 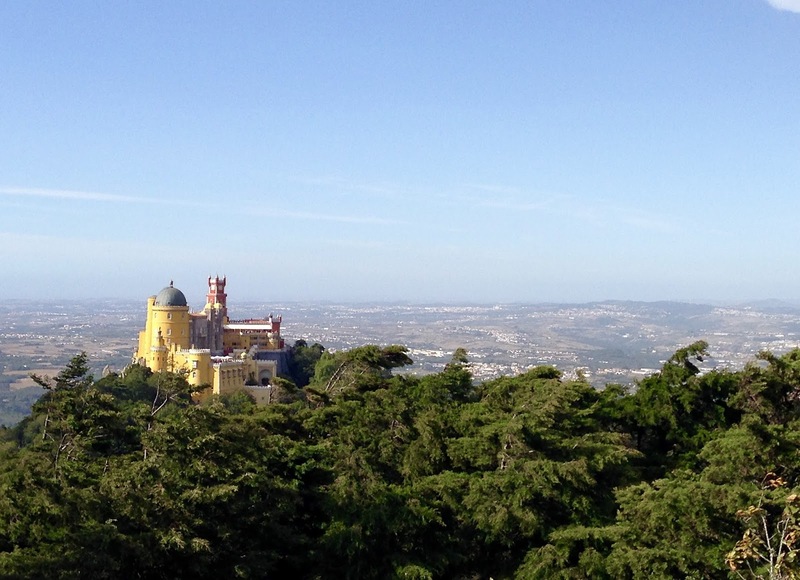 The main attraction of the town is Pena Palace, and it doesn't disappoint! It is a multi-colored castle that looks like it belongs in a Disney movie. It is stunning! I loved touring the castle, walking around the grounds of the area, and exploring the town itself. Side Note: Make sure to bring a sweater on this adventure~ it was so cold and windy by the castle that we had to make a human sandwich to stay warm! Cabo de Roca: Pack your bathing suit and towel and head to Cabo de Roca, the gorgeous, westernmost area of Portugal. Here, massive cliffs cascade into the ocean, carving out beach areas along the coast. 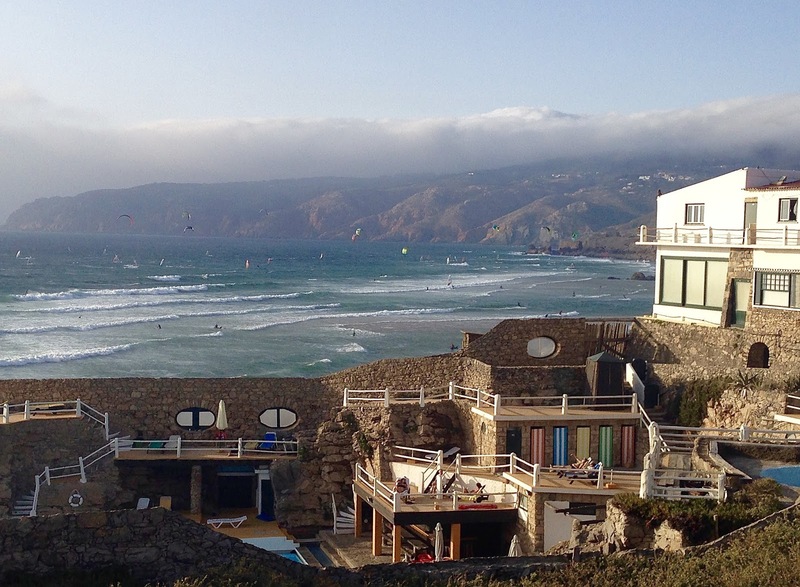 It is a popular kite surfing area and we were able to stand at the top of a cliff and watch the kite surfers dart across the water, seemingly just missing each other. I have never seen anything like it! The area is relatively remote, but there are a few little delicious restaurants. *See all of those tiny, colorful flecks? Those are all KITES! 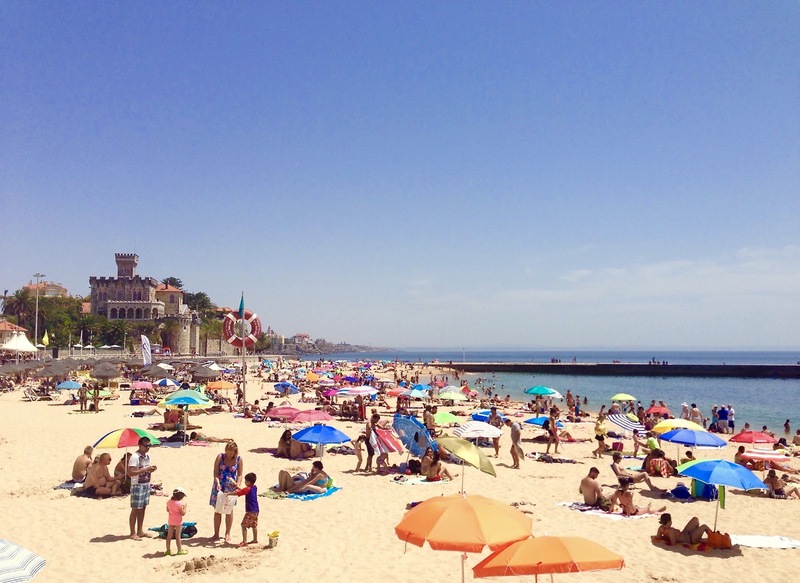 Cascais: Cascais is a coastal area 30 km west of Lisbon. While the area is beautiful, and there is literally a palace on the beach, we could not for the life of us find an empty umbrella to rent on said beach. We actually ended up sneaking into a gorgeous hotel and using their pool for the day (#sorrynotsorry). We were only there during the day, but we heard that it is a fun place to be at night. If you have limited time, I would skip this and head for Cabo de Roca. However, you might want to use it as a home base for a few days to explore the surrounding areas. 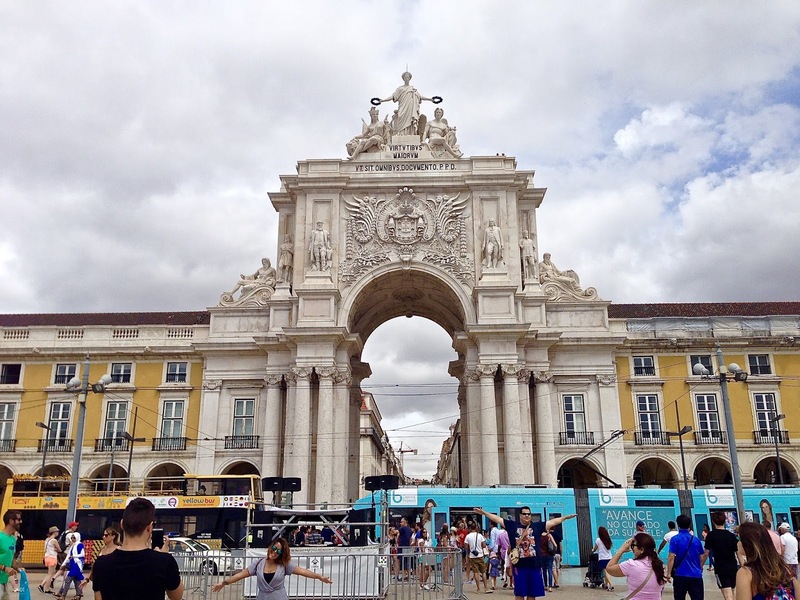 I hope you find these recommendations helpful and that I've given you some inspiration in planning your trip to Lisbon! Make sure to leave me a comment if you have any questions.